A Portuguese expat in Estonia, Joao Rei, explains how you can vote in the local elections in Estonia, who exactly can vote, and, most importantly, how you can vote online. The local council elections are coming up in Estonia and these are the only two elections in Estonia where non-citizens can vote – the other being the elections for the European Parliament. The Estonian president gets elected by the local parliament (unless parliament screws up, like in the last presidential elections), and the parliament gets elected by the citizens. And that pretty much sums up the elections in Estonia, since the government is assigned by the parliament. What’s special about the local elections, apart from the fact that non-citizens can also vote, is that the local governments get a substantial part of their budgets coming directly from the residents’ income tax. That’s why it’s so important for them to get you to register at the correct place of residence. Your taxes fund the local districts. Tallinn controls a disproportionate amount of money when compared with the other municipalities in Estonia. 60% of its budget comes from your income taxes. So, make sure you vote and that you know who to vote for. Since joining the EU in 2004, Estonia has welcomed many EU nationals to its territory. All EU citizens have the right to vote for the local elections in their place of residence and also for the EU parliament. So, if you are an EU citizen, have registered yourself as living in Tallinn, and have a valid Estonian ID-card, you can vote. According to a recent article by ERR News, close to 30,000 EU citizens live in Estonia and get to vote in the local elections. The number might seem small, but as a whole it’s twice the size of Viljandi, or about the same size as some boroughs in Tallinn. And that’s nothing compared with the 180,000 non-Estonians that all can vote on local elections. Basically, but it boils down to this: if you have a long-term residence permit or the right of permanent residence, then you are allowed to vote. Estonia is cool, we all know that. So, when it comes to voting, Estonia is one of the few countries in the world that allows you to vote entirely online. No need to go somewhere and wait in line, no need to mail in your vote. You just go to a website, download an application, login using your Estonian ID card or your mobile ID. You navigate to the list of candidates who are running in the district where you belong. And you select one. Confirm it using your PIN2 and voilà – voting done! The timeline for online voting starts on 5 October and lasts until the 11 October. After that you can only vote by going to a voting station on election day. If you voted for someone using online voting, and then changed your mind, or are worried about your significant other using your ID card to vote for his/her candidate, or are worried about hackers, then you can always just show up on election day and use the old school paper vote. I have lived in Estonia for 10 years and have always voted online. I wouldn’t even know where to go to cast my paper vote. Take a look at all the candidates here. Please note that Joao Rei will be moderating an election debate in English on 9 October at the Erinevate Tubade Klubi in Tallinn Creative City. 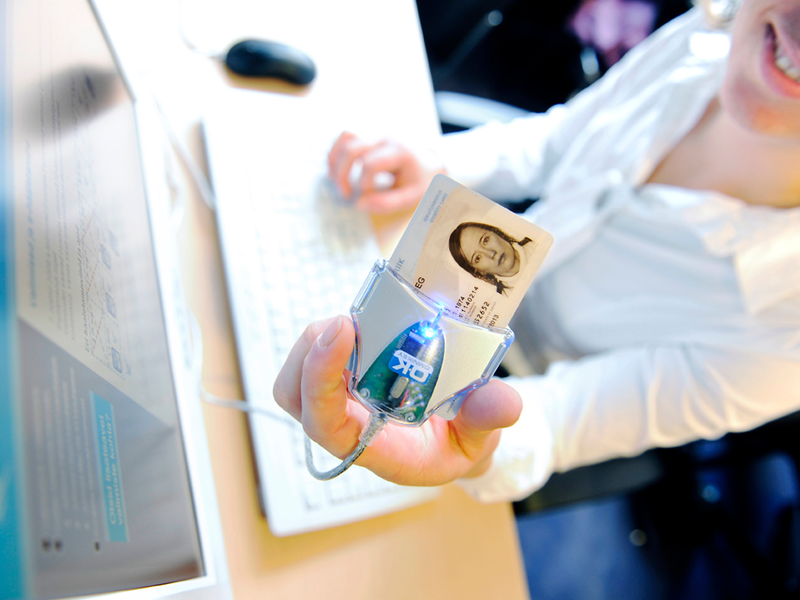 Cover: A person using an Estonian ID card to vote over the internet (the image is illustrative). This article is a slightly amended version of the article originally published by Joao Rei on Medium. Joao Rei is Head of Digital Innovation at Idea Group, a pan-Baltic communication and branding company. Rei, originally from Portugal, is also a guest lecturer at the Estonian Business School.